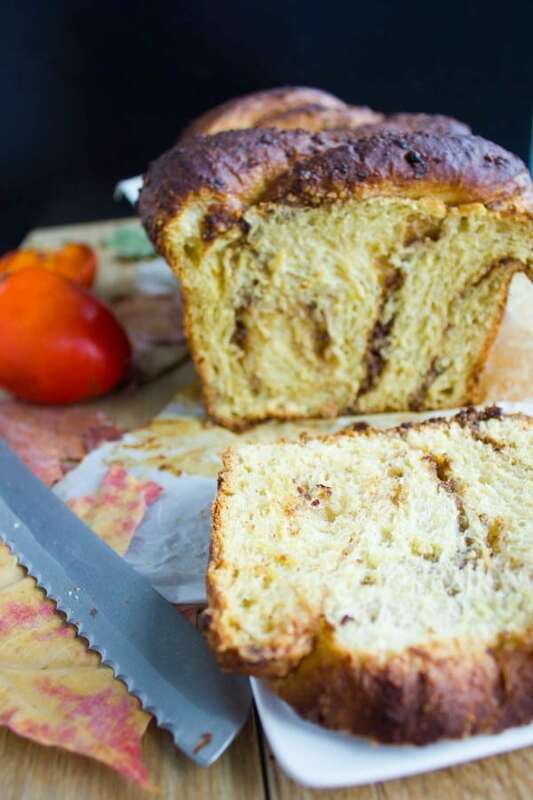 This persimmon hazelnut raisin swirl loaf recipe is a perfect breakfast treat that’s a cross between a brioche and babka but made with little butter! The yeast dough comes together with little effort and the filling, oh the filling! 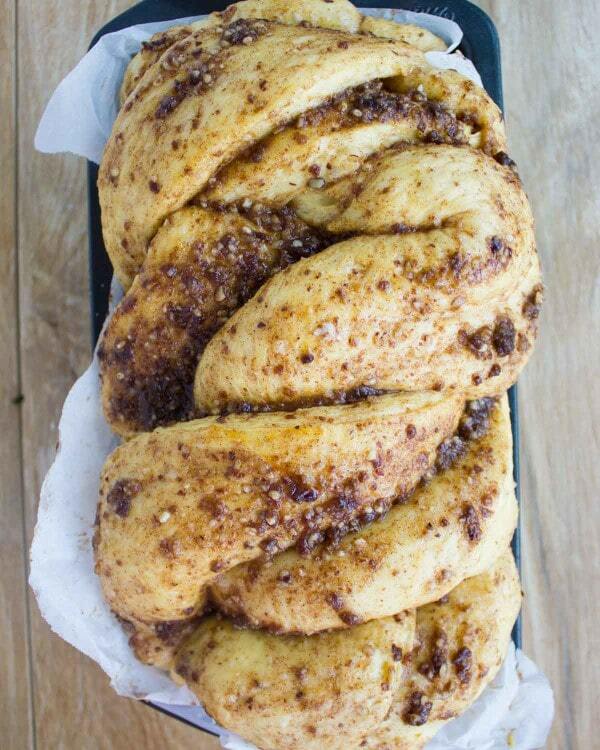 Is a mixture of ground hazelnuts, raisins, sugar and cinnamon which is braided in the loaf for a sweet touch in every bite! 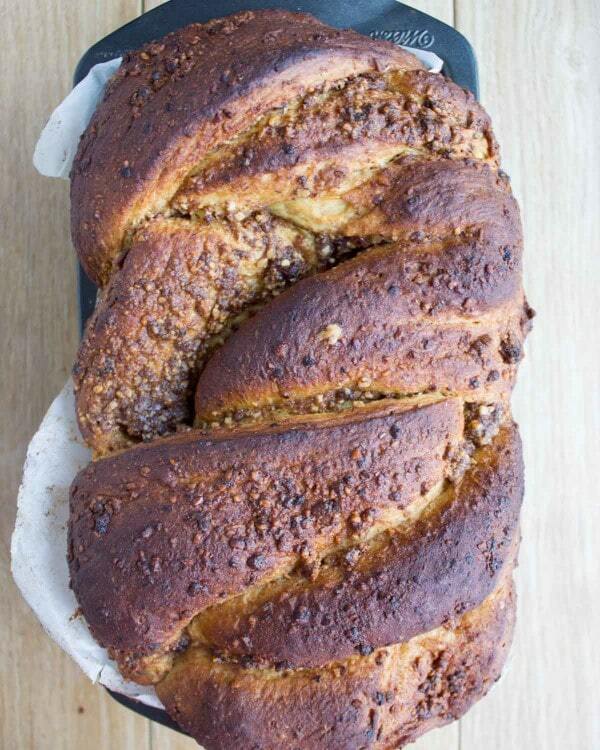 It tastes rich, slightly sweet and very divine! Holiday day table, brunch table, breakfast table..anyone? Yes this is the perfect addition to your table! How I love to bake. If I had the choice in life, I would do nothing but bake every day! Not trying to intimidate you non-bakers, actually I’m trying to make you all fall in love with baking like I do… as once I read a book where the author writes about how bakers always tell you that baking is precise, time consuming and not for everyone. But they often forget to tell you how therapeutic, relaxing and fulfilling baking is! So while yes baking may sometimes be all that precise, this persimmon hazelnut raisin swirl loaf however I promise is not like that! 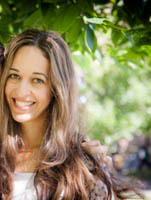 It’s a forgiving recipe, so don’t stress about this one! 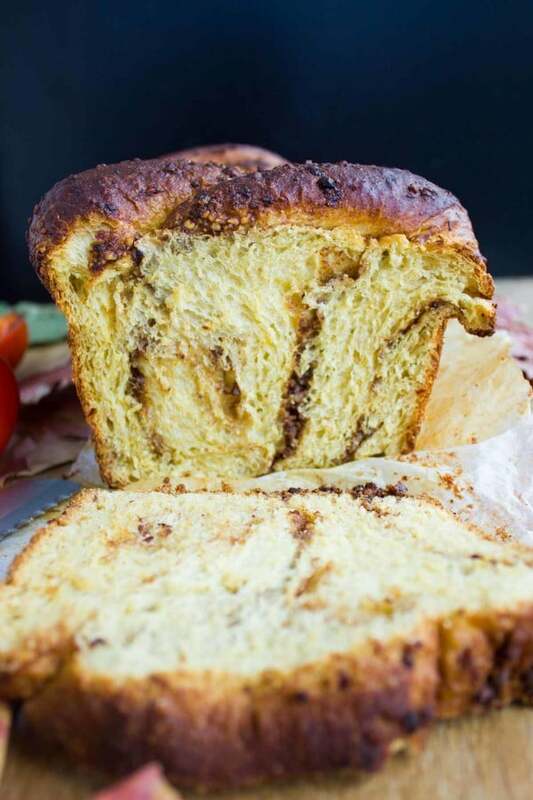 The beauty of this loaf is it gives you that rich feel of a brioche and babka but with much much less butter, and the secret is using cubes of butter in the flour mixture that gets rubbed into the flour before adding the wet ingredients. 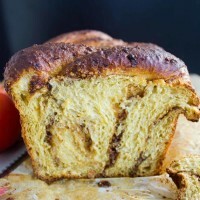 This same technique I used for these best soft burger buns recipe and those decadent pumpkin cinnamon rolls–which I strongly and urgently recommend you try! And if you’re hung up on persimmons now at the peak of their season, check out this buckwheat persimmon salad too! Now let’s break it down.. you’ll start by mixing flour, salt, yeast, sugar and then rubbing the butter into this mixture. Then a mixture of egg, persimmon puree and milk goes in and the dough comes together. You’ll need to knead the dough for just a couple of minutes by hand or using a machine. At this point you’ll let the dough sit in an oiled bowl, covered for about an hour and a half. 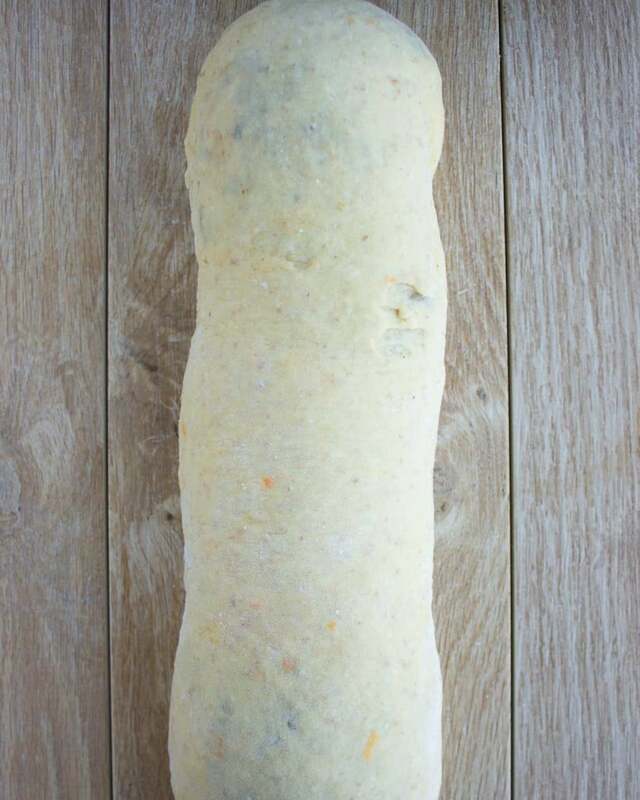 If you think you won’t have time to bake this loaf the same day, just put the dough in the fridge for no more than 2 days. In the meantime you can prepare the filling. 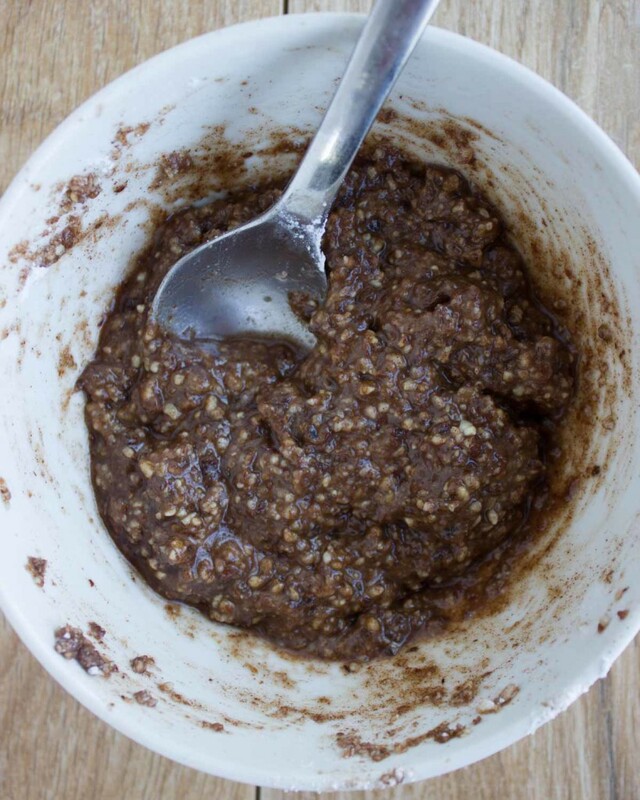 I love using hazelnuts (any type of nuts works perfectly well and a no nut option still works!) 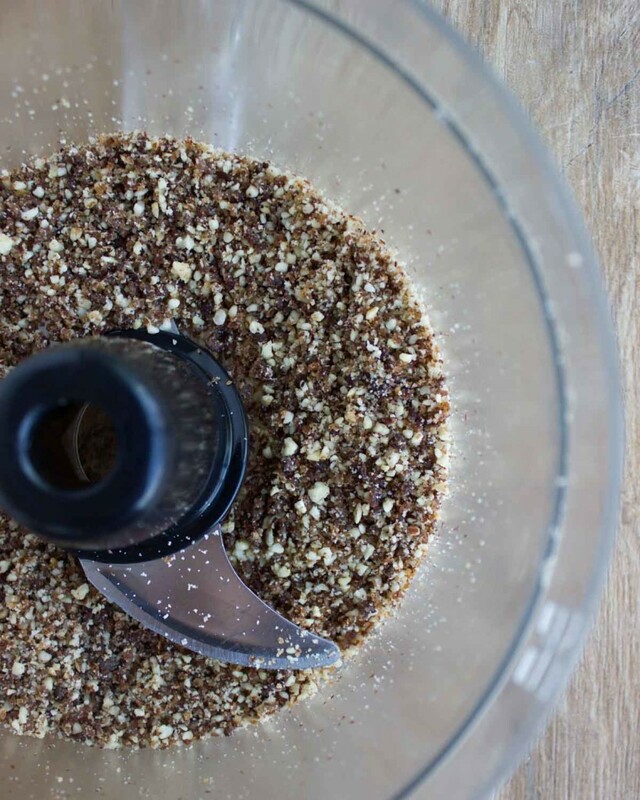 Pulse the nuts in a food processor until it resembles coarse salt, then add in some raisins and pulse some more until the mixture sticks together. Then add in confectioner sugar and cinnamon, a tablespoon of vanilla and water and pulse a few times just to blend everything together. And it’s ready. 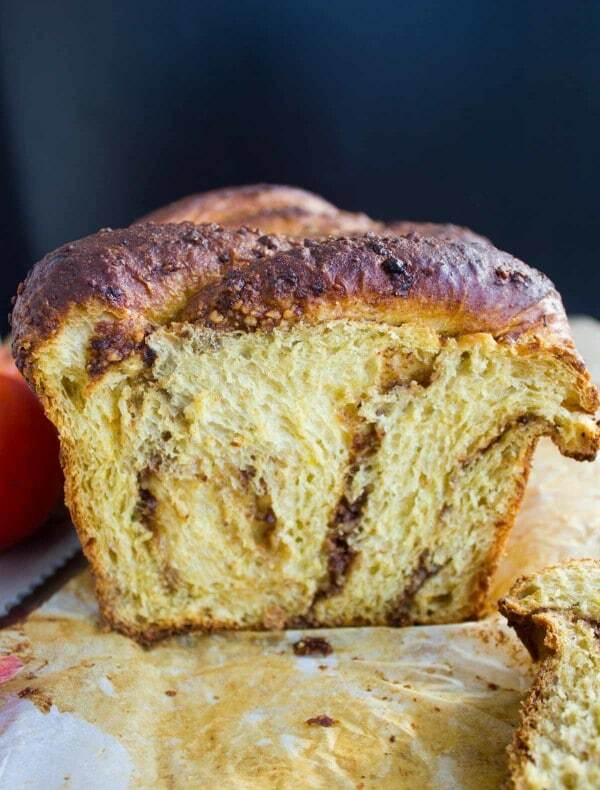 Shaping this persimmon hazelnut raisin swirl loaf comes together as you can see in the photos–first roll out the dough into a rectangle and spread the lovely filling all over the rectangle leaving about an inch border. Then roll up the dough into a cylinder starting from the shortest side of the rectangle. Now here you need to be brave and don’t fear the dough—it might feel like it’s tricky and you may feel like OMG this is falling apart—just take a deep breath and remember it will be absolutely ok and you will end up with a wonderful loaf of bread no matter what. So now take your knife and cut through the cylinder length-wise. You will have 2 long strips of dough, make sure the filling part is facing upwards. Punch the tops of the strips together and start twirling the strips of dough around each other like a 2 strand braid—MAKING sure that the exposed filling part is ALWAYS facing up. Then punch the bottom edges together when you’re done. 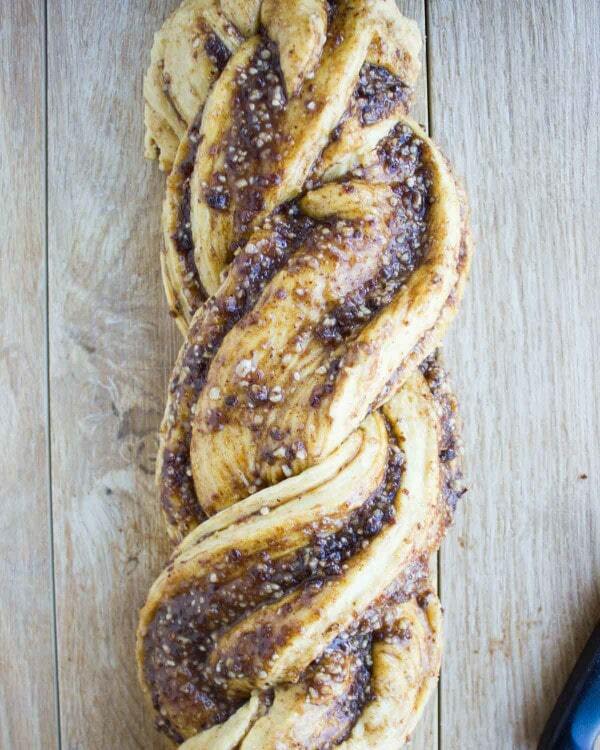 Now lift up this two strand braid and place it in a loaf pan (again making sure the filling part is FACING up). Tuck in the edges as you feel necessarily and make the dough feel comfortable in it’s new home! At this point the dough needs to rise again for an hour before baking, during which it will puff and fluff up! 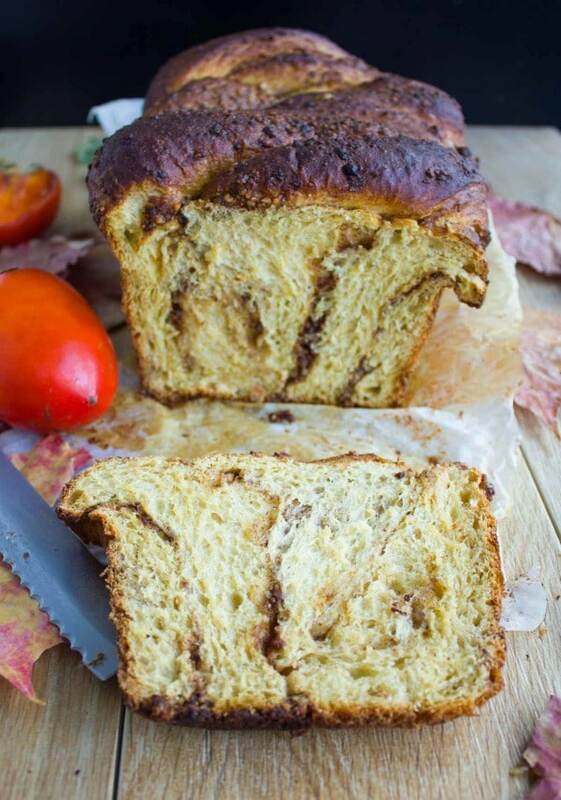 Bake this gorgeous persimmon hazelnut raisin swirl loaf for 20 mins and cover the top with a piece of foil loosely and continue baking (this will prevent the tops from burning while the bread cooks). 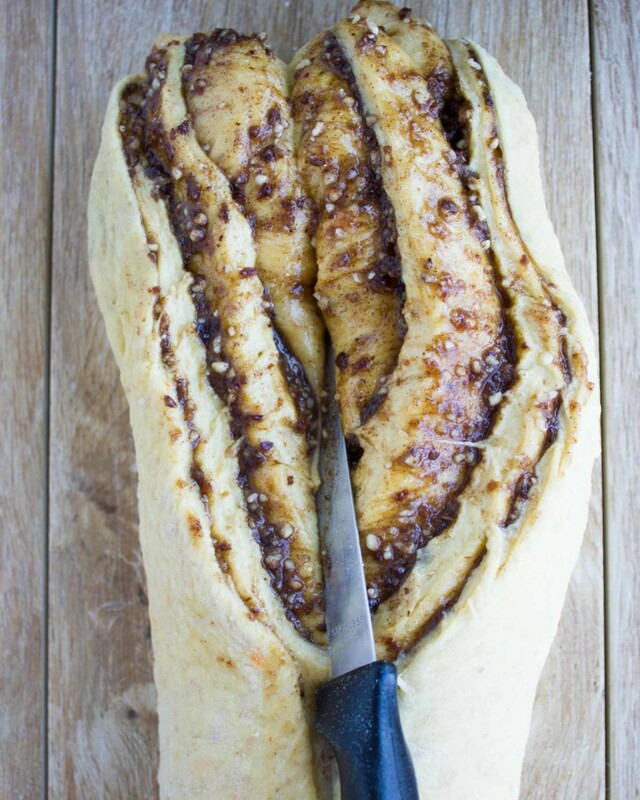 And just like that, once the bread cools down, it gets sliced into slices of sweet cinnamon hazelnut pieces infused into a rich dough. 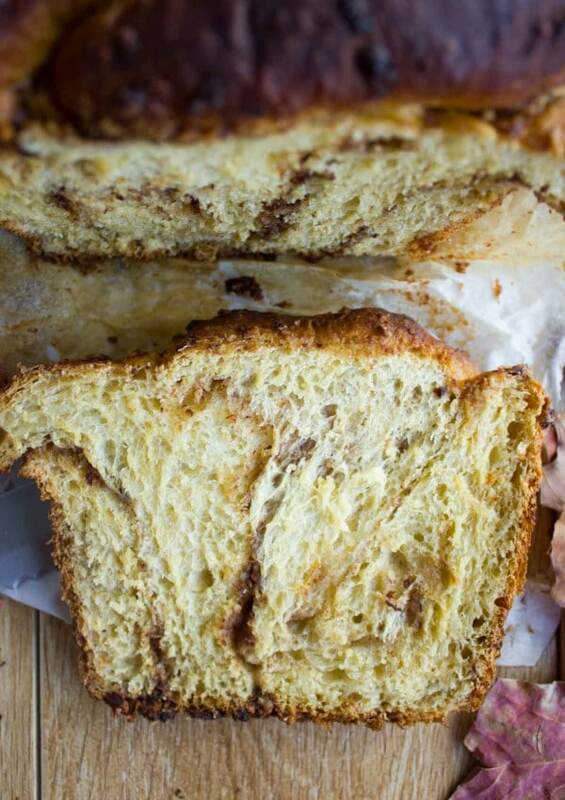 It’s great to eat as it is, or toasted with some butter. In a large bowl, mix the flour, salt, sugar and yeast. Then add in the butter and rub it with your fingers or mixer until all the flour mixture is coated with the butter. In another bowl, mix together the persimmon, egg and milk. Then add it in the flour mixture and knead it by hand or machine until the dough starts to form. If the dough feels dry, add in some more milk. If it fees too sticky, add in flour a tablespoon at a time. The dough should be sticky to the touch, so if you stick your finger in the dough, it should stick to it—-but the you should be able to rub off the sticky dough off your finger with minimal rubbing. (you can check this best soft burger buns recipe for photos of forming this dough). Knead the dough for just a couple of minutes and place it in an oiled bowl room temperature for up to 2 hours or in the fridge for up to 2 days. In the meantime prepare the filling: Pulse the hazelnuts to the size of coarse sand, add in the raisins and pulse until the mixture is like coarse crumbly sand. Then add in the sugar, cinnamon, vanilla and water. Pule just a couple of times until it looks like a paste with crunch pieces of nuts and raisins. Roll out the dough into a rectangle about 9inch by 15 inch and spread the filling all over. If the filling is too dry, add in another teaspoon of water. Start rolling out the dough into a cylinder from the shortest side (so your cylinder will be 9 inch long). Take a knife and cut slice the cylinder lengthwise giving you 2 strips 9 inch long each. You’ll notice the filling will be exposed once you cut the dough, keep the strips in a way that the filling is always facing up. Punch the tops of the 2 strips together joining them into one (keeping the filling facing up always). And start braiding the strips together in a 2 strand braid ( always keeping the filling facing up) and then time the bottom ends of the braid together. 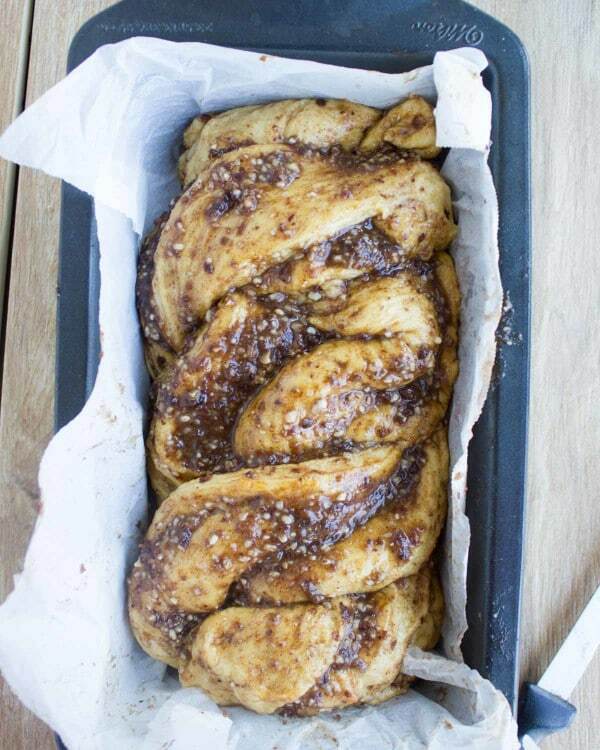 Lift up the braided dough and place it in a parchment lined loaf pan (with the filling always facing up again) and tuck in the edges so it fits comfortably. Cover the dough with plastic and let it rise another hour before baking where the dough will puff up. Place the loaf in the oven and bake for 20 mins until the tops are golden brown, then drop the oven temperature to 350, tent the top of the loaf with foil to cover it up (without squishing it) and continue baking until the bread is cooked through and registers 200 degrees in the centre using a meat thermometer ( about 20-30 mins more). Cool down for an hour, slice and serve. 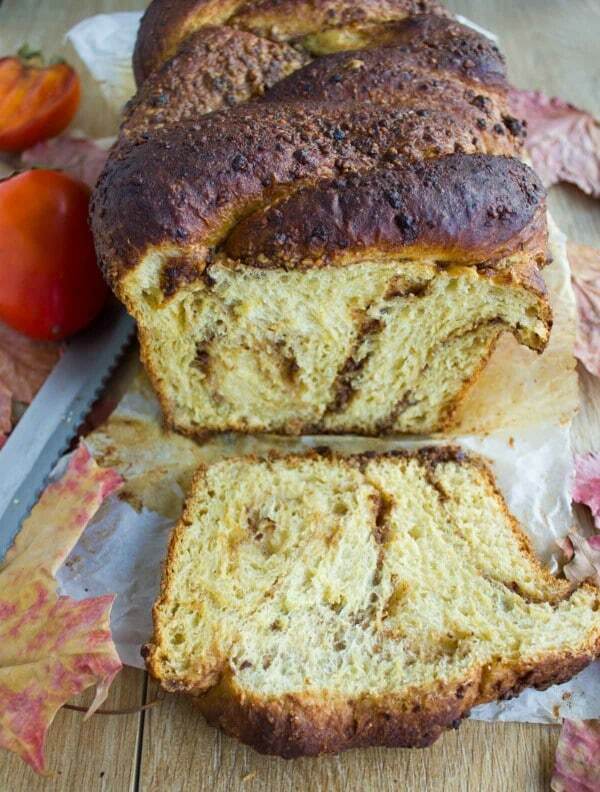 Great looking loaf and really neat fruit to use. That is a delicious looking loaf! It would be wonderful lightly toasted, with my coffee this morning. YUM! Thanks Chris–I agree a million % ! 🙂 And this loaf is indeed fabulous toasted! 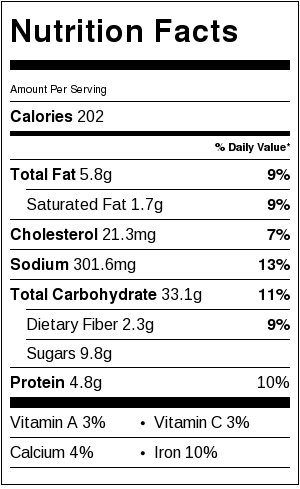 Exactly how much persimmon should I be using? My dough always ends up being too sticky when these recipes ambiguously state ” one small/medium/extra large fruit”..thanks!